From 1993 to 2004, the Debra Weiss Dance Company&apos;s Nyack Arts Exposure program offered children and teens professional training in dance and musical theatre after school and over the summer. 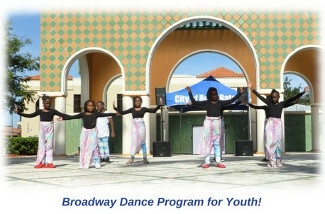 In 2017, the Debra Weiss Dance Company founded a new after school program, Broadway Dance, for students in grades 3-9, near its new satellite office in Boca Raton, Florida. Students learn routines from musicals such as Hairspray and Shrek. Students perform in the community, at parks, youth centers, and special events, including Martin Luther King Day 2018. Earth Day Program: The Trees Are Singing! Celebrate Earth Day with "The Trees are Singing!" (Los Arboles Cantan), a program of dance, poetry, and live drumming with beautiful costumes and props that will enchant students. It celebrates the beauty of spring, when trees bring forth new leaves. "Blue Sky" (Cielo Azul) is a duet dance with a billowing blue fabric that celebrates the great outdoors and keeping our air clean. "Colors of the Rainbow" (Colores de Arco Iris) displays the vibrant colors of the rainbow as dancers swirl long Chinese streamers. "Lotus Flower" (Flor de Loto) depicts the peaceful beauty of a white flower floating on a lake. Audience members are invited to portray trees in the rain forest! 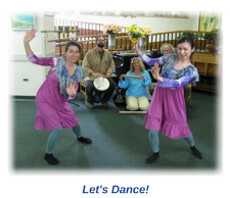 Our hospital program for cancer patients, Let's Dance!, is a joyful combination of art and healing. Let's Dance! transports patients to another time and place with live drumming, beautiful costumes, and dance. 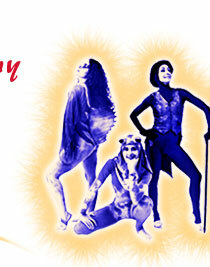 In Blue Sky Dance, billowing fabric and poetry uplift the spirits. In Rainbow Dance, long streamers carve shapes in the air. Patients play percussion instruments in the finale. Step back in time to the Victorian Era, when an evening out meant ladies in colorful ballgowns and gentleman in elegant suits of black whirling around the ballroom to the latest Strauss waltz. Our dancers will demonstrate the 5-step waltz, polka, mazurka and schottische. Gentlemen will get tips on ballroom etiquette, while ladies receive a lesson in "fan language." Fun for the whole family! Audience participation. Residencies include workshops. Enter a magical underwater world! Watch the Discontented Fish dive into the ocean, where she is chased by a hungry Shark! Find out how Fly saved the river from Moose, and Turtle tricked Beaver in a race. Fish Tales explores the culture of the Hudson River Valley and NY Harbor through dance, narration, colorful costumes and music. Grade K-5.